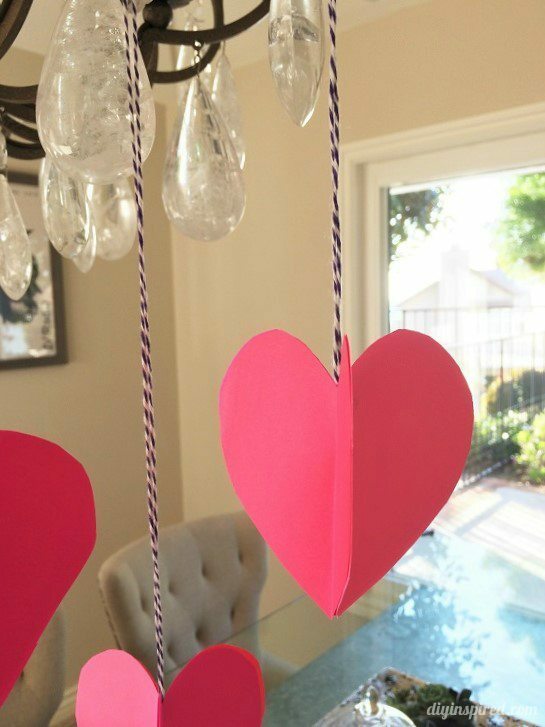 I love easy paper crafts, especially those that take less than 15 minutes to make! 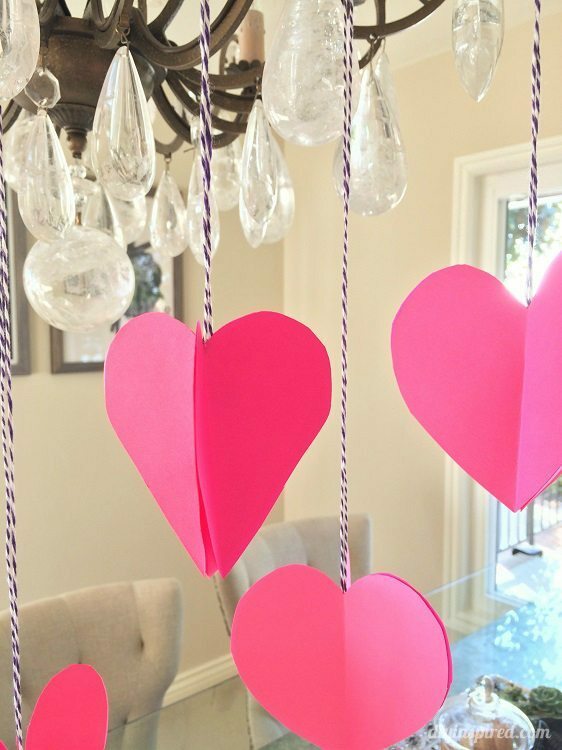 These cute little hanging 3D paper hearts can be used for decorations in classrooms, parties, or even at home. 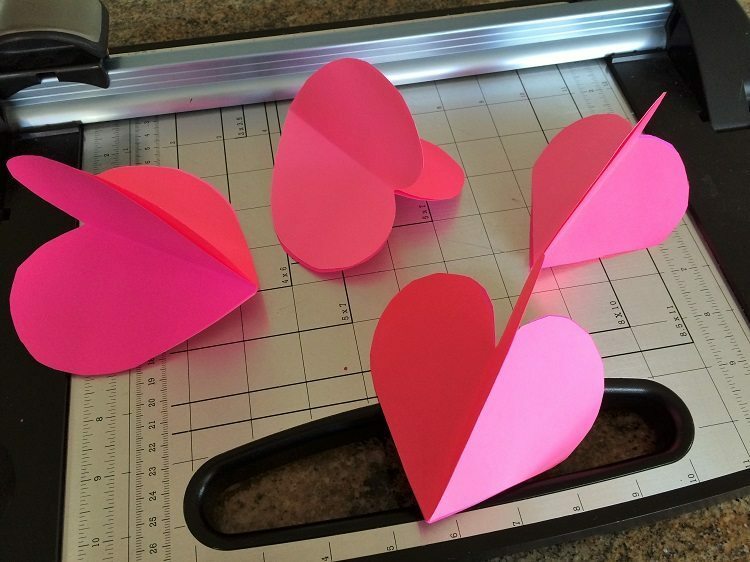 Three pieces of 8.5”X11” pieces of paper will make four medium sized hearts. 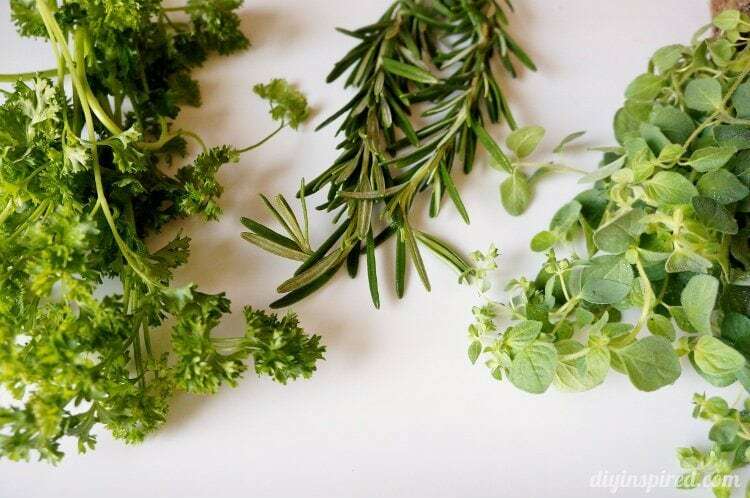 Here is how to make them. 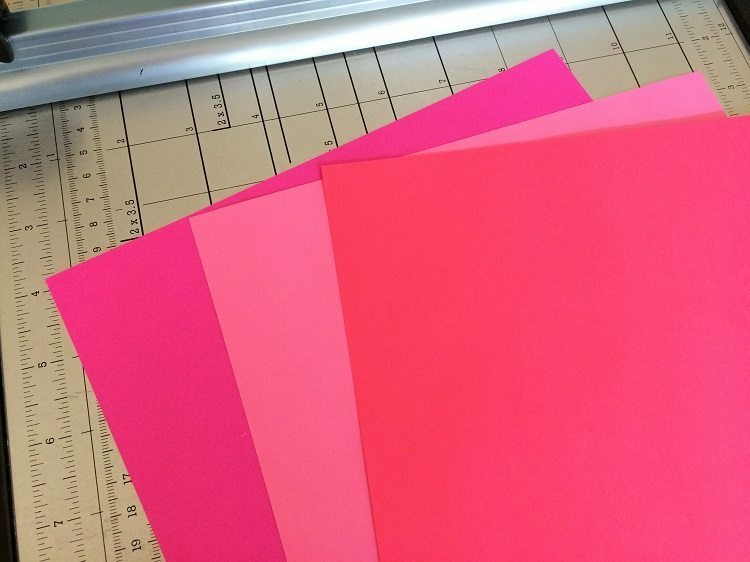 I chose three different hues of pink for my paper hearts. 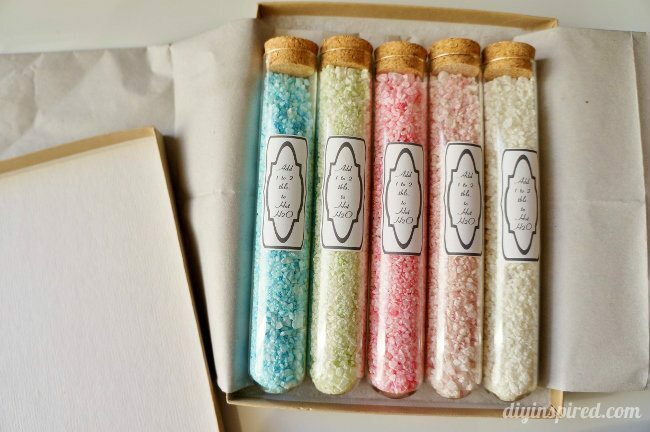 You can use red, white, and black too or try using metallic or glittered paper. 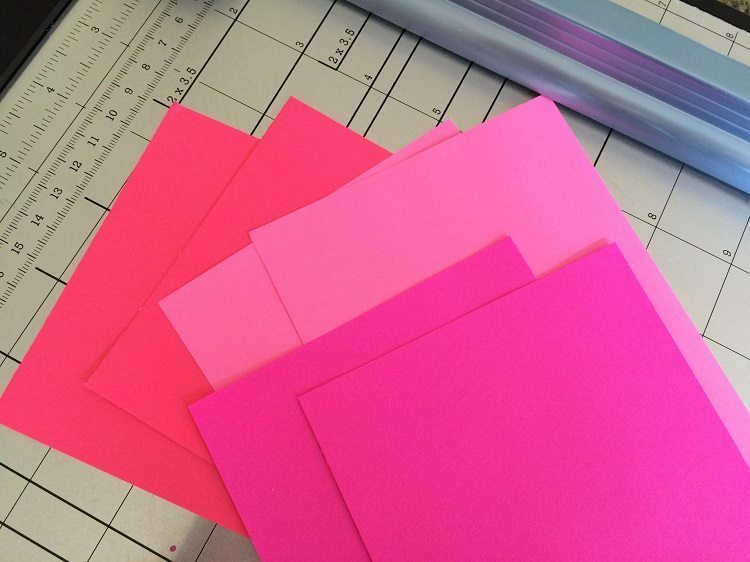 I cut each piece of paper in four equal parts with a paper cutter. 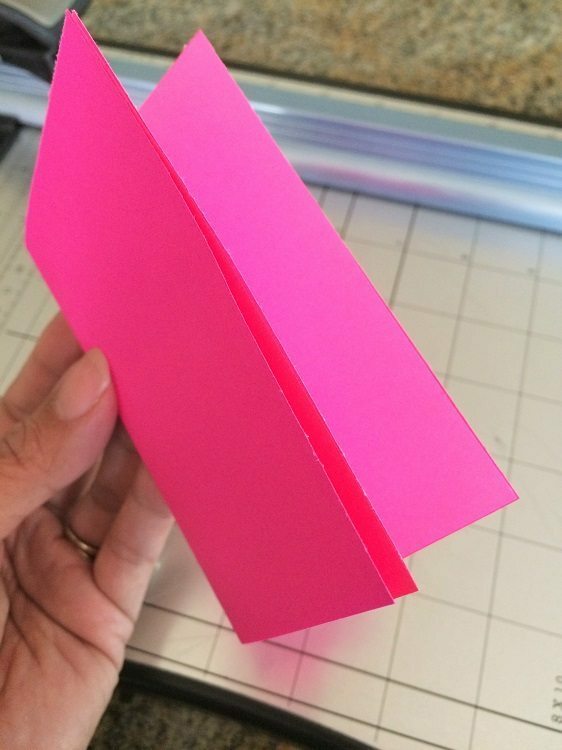 Take one of each color, stack them, and fold them in half as shown. 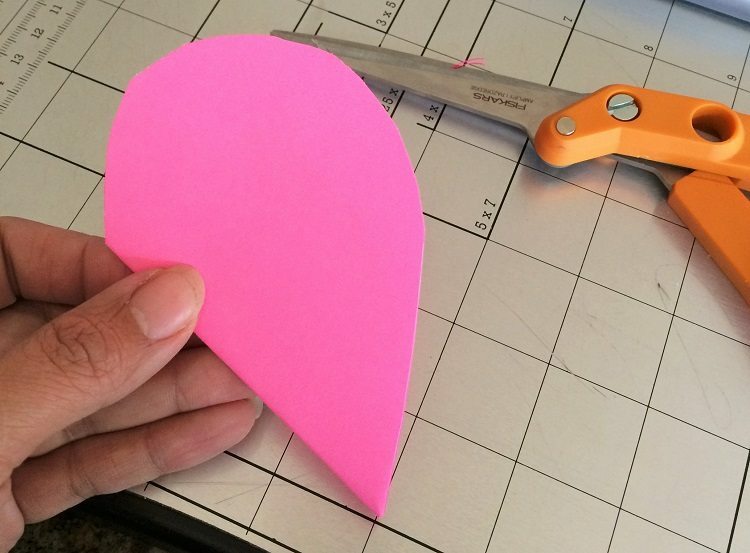 Cut a half shape of a heart with a pair of mixed-media scissors. Just like in grade school! mixed-media scissors work well for cutting through all three sheets of paper. 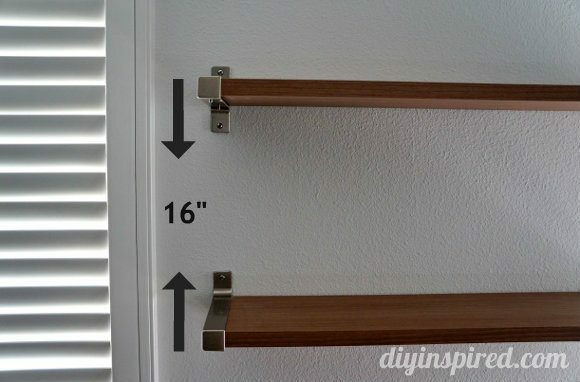 You want to make sure they match up when you tape them together. Another option is to make a heart template. You will have three matching hearts in three different colors. 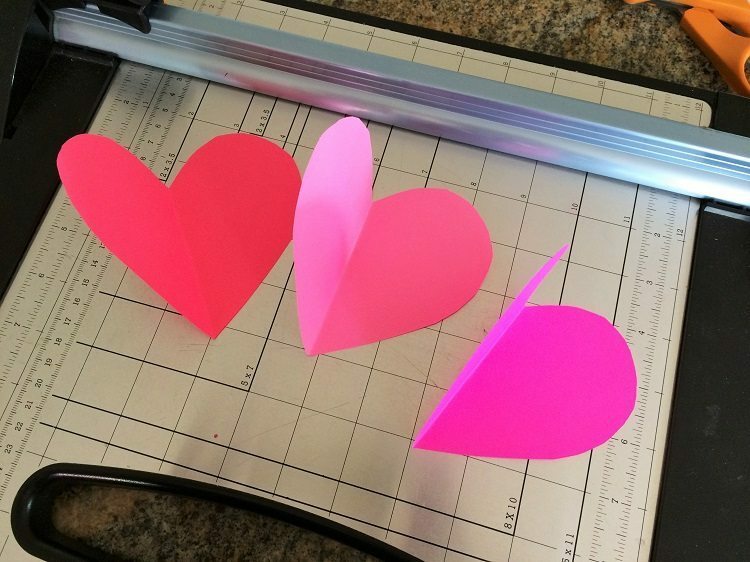 Using double sided tape or glue, tape the three hearts together as shown. 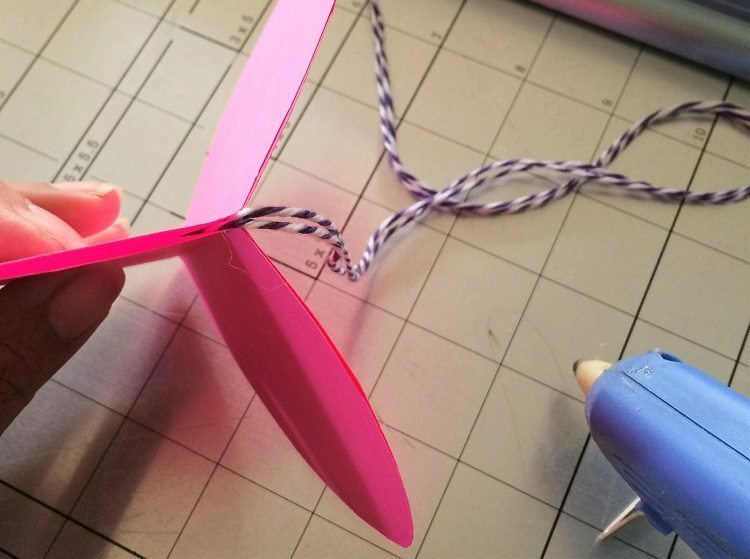 Lastly, cut a piece of string at the desired length and hot glue it to the center of your 3D paper heart. There you have it! 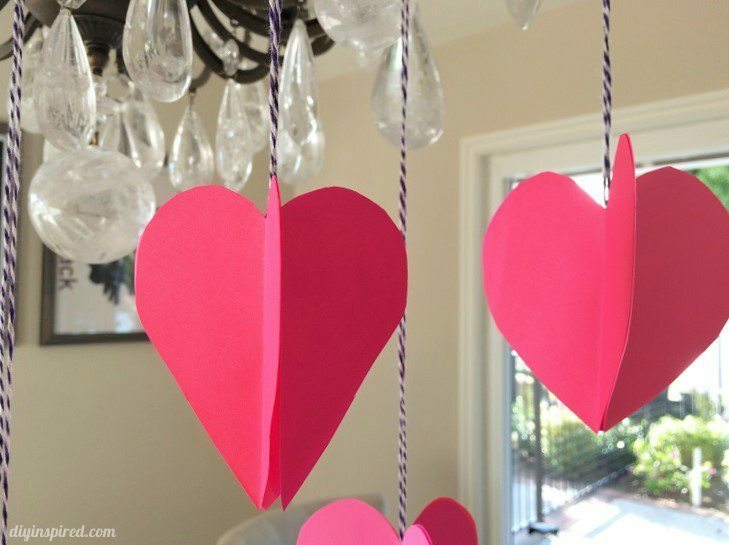 In less than 15 minutes, you have four three dimensional hanging paper hearts for your Valentine’s Day decor. 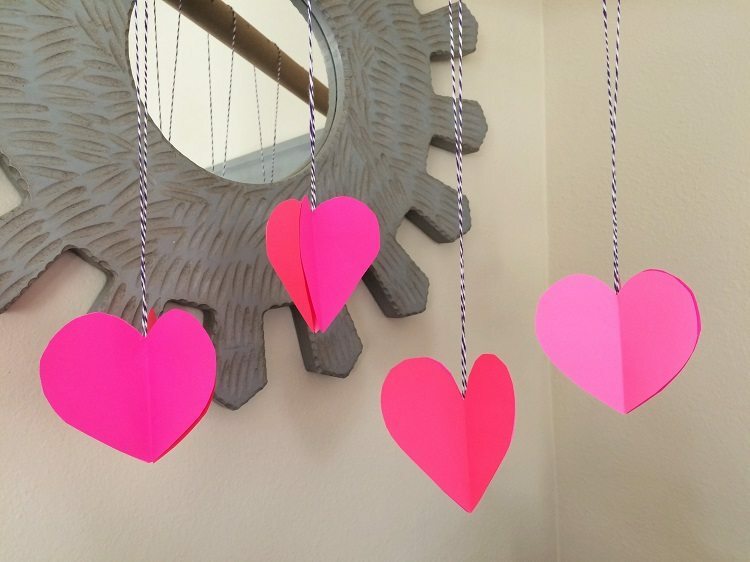 Be sure to stop by the other blogs participating in this Craft Lightning Valentine’s Edition. Thank you to our hosts and co-hosts, 30 Minute Crafts, The Country Chic Cottage, and 100 Directions! 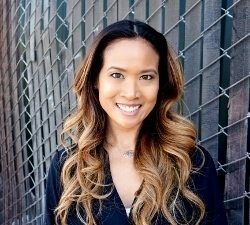 Thank you for having me as always, Angie!